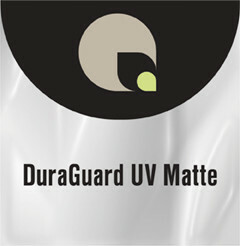 DuraGuard UV Matte is a heat-set laminating film that adds a satin-matte finish without sacrificing color definition. The soft, non-reflective finish of this product makes it the film of choice for direct-lit graphics. Can be used for tradeshows and POP displays. Can be used to laminate ink-jet output on canvas. Perfect for mounting multiple images onto a single board.